There are a lot of things about your property that help make it feel more like a home. The grass, your garden and the look of your front yard and backyard can all be quiet, cozy and inviting and make you feel great every time you come home. One element that adds a great deal to the look of your property is the trees that you find on your lawn and in your yard. Beautiful trees completely enhance the overall look, but to keep them looking their best you need to maintain the trees properly. Since most of us as homeowners do not have deep knowledge of trees and how to care for them, it is always a good idea to opt for a tree service in Valley Village like ours at Your Way Tree Service Inc. to assist you. One of our goals is to make sure we do everything we can to help keep your trees healthy. It may not always be easy for you to recognize when a tree is having health issues and often the typical homeowner does not notice a problem until the damage is significant and it may be too late to save the tree. Our service can come to you and inspect the trees on your property, advising you if you have trees that may suffer from disease or infestation. We can provide you with treatment to help heal the trees so that they can live and thrive for many years. 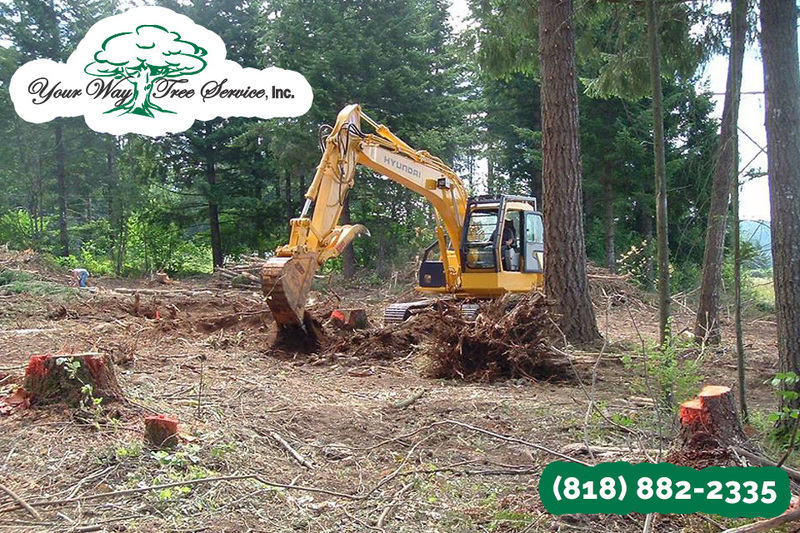 Perhaps the most important tree service in Valley Village that we can provide you is to maintain the trees for you so that they look their best. We can perform a variety of maintenance services, from trimming and pruning limbs and branches, fertilization to help keep the trees growing nicely and many other treatments designed to help keep your trees at their best. We can even assist you with the planting and maintenance of new trees if you want to add to the beauty of your property. You can find out all about the tree service in Valley Village that we can provide for you simply by calling us at Your Way Tree Service Inc. at 818-882-2335. You can schedule an appointment to have one of our expert consultants come to your property, take a look at the trees you have and make recommendations for service and maintenance. We will do everything you need to help you maintain the beautiful look of your property each day.